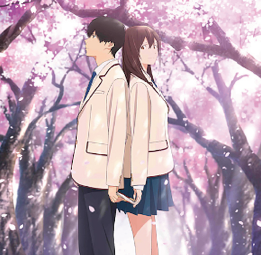 “I Want to Eat Your Pancreas,” a Japanese animated feature, will be shown at selected theaters on Thursday, Feb. 7, at 7 p.m. (subtitled) and Sunday, Feb. 10, at 12:55 p.m. (subtitled). Based on an award-winning novel by Yoru Sumino, this is an uplifting, coming-of-age tale that has captivated the hearts of millions. The film captures an emotional journey between two polar opposites who discover the true meaning of compassion while trying to find happiness. Spring, and the last of the cherry blossoms are still in bloom. The usually aloof bookworm with no interest in others comes across a book in a hospital waiting room. Handwritten on the first page: “Living with Dying.” He soon discovers that it is a diary kept by his very popular and genuinely cheerful classmate, Sakura Yamauchi, who reveals to him that she is secretly suffering from a pancreatic illness and only has a limited time left. It is at this moment that she gains just one more person to share her secret. For theater locations and reservations, go to www.fathomevents.com.